The Pacific Crest Trail stretches from Mexico north to Canada. 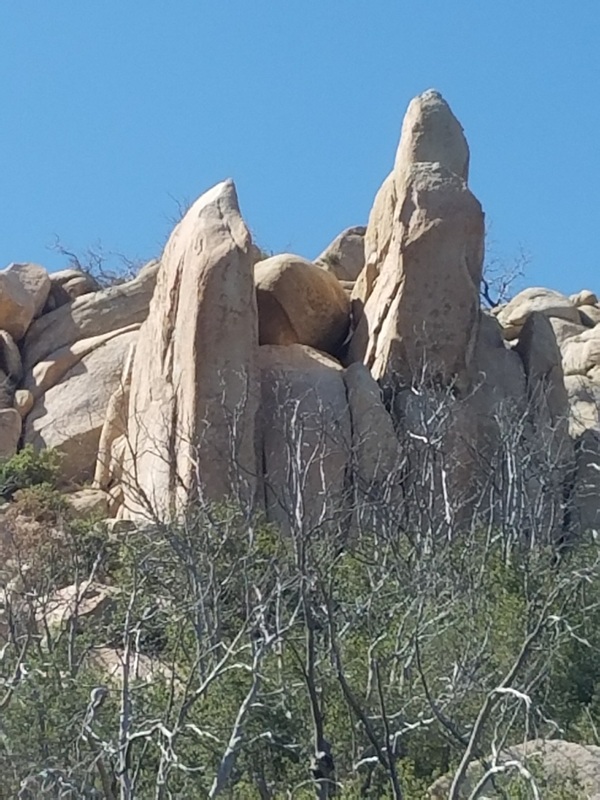 On the first day of July, my friend and I drove out to a section of the trail – several miles on a bumpy dirt road – which is inside the Anza-Borrego Desert State Park east of San Diego. Please take note of two details – the month – July and “desert”. I will plan my next hike of the PCT during summer at elevations above 5000 feet; my next visit to the “desert” will be in November! However, we had plenty of water and were accomplished hikers. We had no company except for a ground squirrel, a hawk, lizards and a few hummingbirds along the trail. But with Boy Scouts a half hour trek east at their summer camp, Lost Valley, I knew one of us would make it out. And now from the comfort of home it is time for a nap! I ate grilled zucchini (grudgingly) with STEAK tonight. Green tho’ not salad, per se…..